Wilco have a brand spankin new single 'I Might' that was just released at the Solid Sound Festival. The new single was released on Wilco's own dBpm Records label and was distributed directly at the Festival. The very limited 7 inch single also includes the B-Side 'I Love My Label' which is a Nick Lowes cover song. Wilco will make the 7" available July 19th to all others not able to attend Solid Sound. "There are two strong threads of material, one being a little weirder - snot-nosed obnoxious pop songs - and the other more languid, atmospheric-country music." They played 5 new songs at Solid Sound according to Stereogum - I Might, Whole Love, Born Alone, Dawned On Me, Standing O? 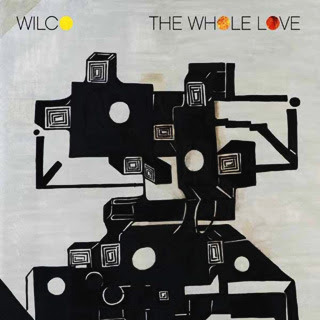 Check out 'Dawned On Me' and 'Born Alone' below, it is a good possibility that these songs along with 'I Might' will be featured on Wilco's 8th studio album. The Whole Love will be released on September 27. The album will consist of 12 songs. The recent single 'I Might' will be part of the 12 along with 'Dawned On Me' 'Born Alone' 'Standing O' and 'Whole Love' that were featured at Solid Sound. Also they have announced a full tour schedule as well with 29 stops, and sure to be more added.